We are manufacturers,we are using Tally. There will be difference in stock physical stock, we want to get it corrected monthly in the stock book.Does tally have facility of entering damage or excess? If not explain how to do it. I have seen some of your videos it is quiet educative. 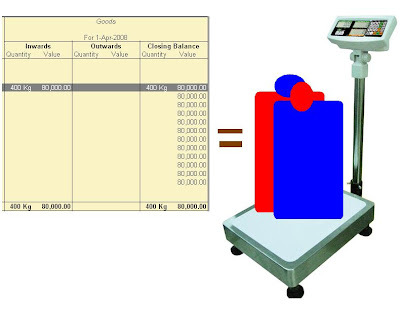 Tally 9 ‘s calculated stock and physical stock should be equal . Have you pass all the voucher entries made correctly , like purchasing , sale . Have you written yes in Feature of integrate account and inventory , because if you written no by mistake , your closing stock will not match with your physical stock . If you want to show this as damage , you can simple pass voucher entry in journal voucher in Accounting Vouchers . Its effect automatically show on your stock . If you have done above one and second correctly . Once again check your physical stock also. Moreover , you have to make unit measure and stock items in Inventory Info. And its detail must mention in purchase and sale voucher entries . If you like my Accounting Video , In future , I will make more .